Syntronix are arguably the UK’s most authentic tribute to the sound of the 80s Synth era. 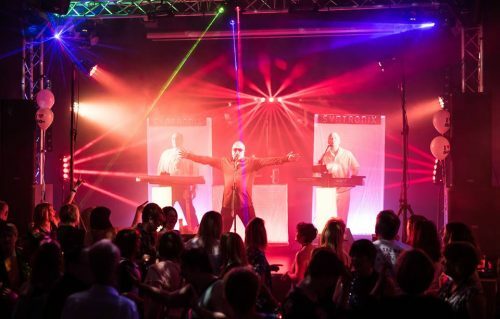 With top class programming, the finest instruments, great vocals and a full DMX controlled LED light show, you’ll be instantly whisked back to the early 1980s. Massive hits like Rio, Fade To Grey, Vienna, Gold and Relax are reproduced with unbelievable realism and will guarantee your event is everything you want it to be. If you want to hear the sounds of the 80s Synth era, then don’t settle for anything but the best. It has to be Syntronix, the UK’s Premier 80s Synth Tribute Band.